Mashrur Hossain has been a technology professional for over a decade and holds degrees in both Computer Science and Economics. He has worked with Enterprise Software Systems throughout his career with roles in analysis, development, and management. He is very passionate about web application development, and believes Ruby on Rails has proven to be a very strong force in this field. 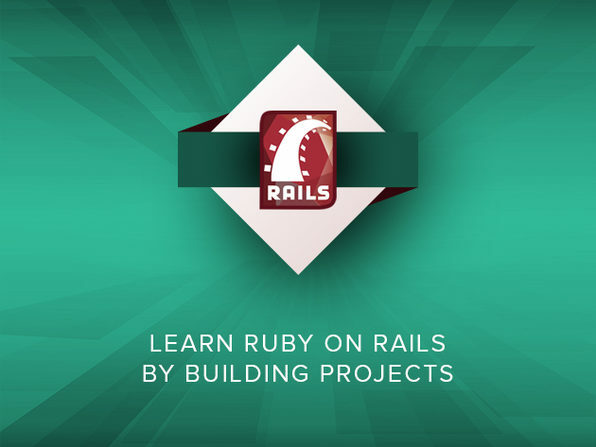 Join him for his comprehensive Ruby on Rails Developer courses as he guides you through the world of web application development using Rails. Emmanuel Asante studied mining engineering and information systems at the University of South Africa. While working in the mines, he developed various mining, rock mechanics, and geological applications using languages ranging from Perl, Turbo Pascal to C#, Java and Ruby. In particular, he developed a mining production information management system, as well as a pit crew performance management system, both for Thompson Creek Metals (Endako Mines). Also noteworthy was his client management application for Snowden Mining Industry Consultants. For more details on this course and the instructors, click here. This course is hosted by StackSkills, the premier eLearning destination for discovering top-shelf courses on everything from coding—to business—to fitness, and beyond! This in-depth course provides a thorough introduction to web application development using the Rails framework. Why Ruby on Rails? Since its introduction, it's rapidly become one of the most powerful tools available. It's even used by top sites like Basecamp, Twitter, Shopify, Github, Groupon, Hulu, Airbnb, and many more. 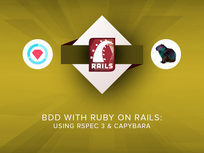 This course takes an extremely hands-on approach, even the code you'll use is created from scratch, limiting the use of shortcuts and generators. You'll dive right in and use a pre-configured Ruby on Rails development environment to master essential skills. Mashrur Hossain has been a technology professional for over a decade and holds degrees in both Computer Science and Economics. He has worked with Enterprise Software Systems throughout his career with roles in analysis, development, and management. He is very passionate about web application development, and believes Ruby on Rails has proven to be a very strong force in this field. Join him for his comprehensive Ruby on Rails Developer courses as he guides you through the world of web application development using Rails. For more details on this course and instructor, click here. This course is hosted by StackSkills, the premier eLearning destination for discovering top-shelf courses on everything from coding—to business—to fitness, and beyond! Introduction to migrations using blog app part 2 : create tables, models, assoc. 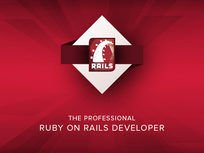 Interview with Senior Rails Developer: Next steps, Industry Insights and more! Eduonix creates and distributes high-quality technology training content on the web! Their team of industry professionals have been training manpower for more than a decade, and aim to teach technology the way it's used in the professional world. They have a professional team of trainers for technologies ranging from mobility to web to enterprise to database and server administration. For more details on this course and instructor, click here. This course is hosted by StackSkills, the premier eLearning destination for discovering top-shelf courses on everything from coding—to business—to fitness, and beyond! What does it take to become a full stack web developer? You need to know: server side coding, database design, HTML, CSS, algorithm development, file manipulation, routing, API integration, and the list goes on and on. This course walks you step-by-step through every skill you will need, and does so by showing you how to build an actual production application. Starting completely from scratch, you'll learn how to set up your environment, create the application, build in advanced features, and finally deploy to the web! Jordan Hudgens has been a software engineer for the past decade and has traveled the world building applications and training individuals on a wide variety of topics ranging from programming techniques to Microsoft Office solutions. With a Bachelor's in Computer Science, Jordan focuses on project driven education, as opposed to pure theory based development. This style of teaching is conducive to learning how to actually build products in a short period of time. Jordan currently develops projects for clients in a number of different industries utilizing a variety of programming languages and frameworks, including: Ruby on Rails, Java, PHP, Swift, and AngularJS. For more details on this course and instructor, click here. This course is hosted by StackSkills, the premier eLearning destination for discovering top-shelf courses on everything from coding—to business—to fitness, and beyond! John Elder is a pioneer in Internet Marketing who created one of the first Internet advertising networks back in 1997. He sold it to a publicly traded company at the height of the dot com boom and then went on to create the best-selling Submission-Spider search engine submission software that's been used by over 3 million individuals and small businesses in over 45 countries. Today he teaches Web Development courses at Codemy the online code school he founded. John graduated with honors with a degree in economics from Washington University in St. Louis where he was an artsci scholar. Stone River eLearning calls themselves the Online Technology Bootcamp because technology is all they teach. Whatever you're interested in from programming to web and mobile development to graphic and web design - they have it covered. Join over 250,000 students currently taking Stone River eLearning courses, and start learning today! For more details on this course and instructor, click here.